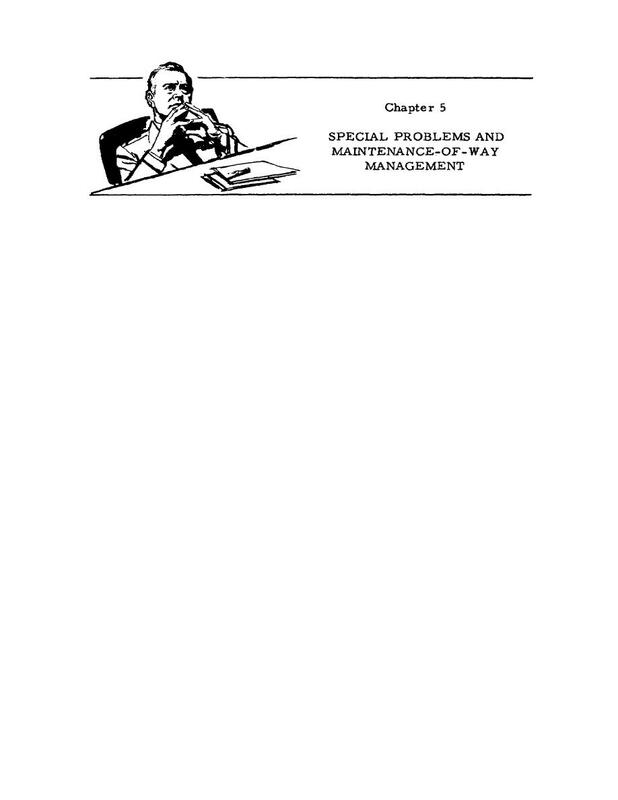 section explains the management of maintenance-of-way activities by track maintenance men. The track maintenance procedures most commonly used are those presented in the first four chapters. typical examples of special problems follow. The minimum clearances which must be observed in tunnels limit the maintenance operations in them. No change in a minimum clearance can be made without approval from a higher authority (RT 670, par. 1.8). railroad tracks and retaining walls near tracks as well as to tunnels.